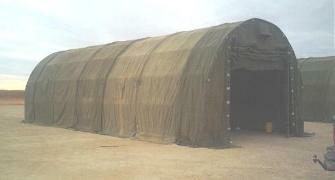 ropes, stove jacks, zippers, window & door screens etc. 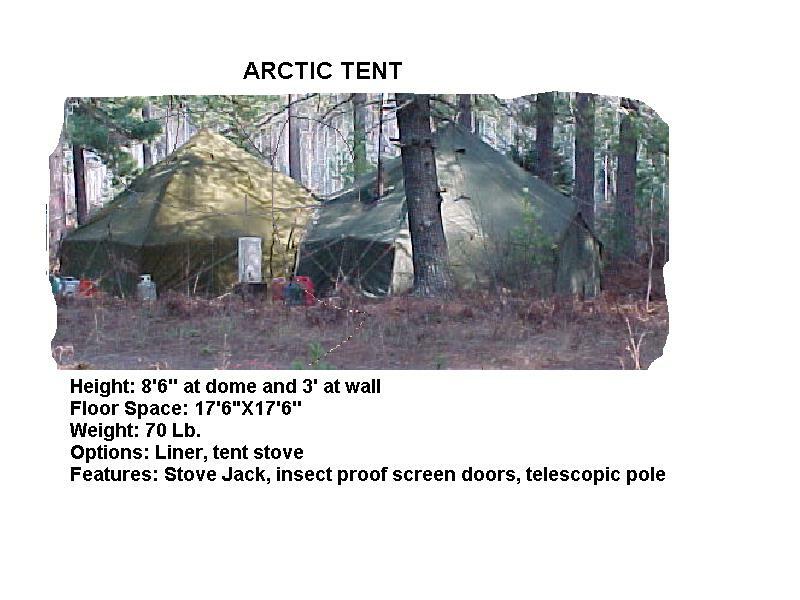 GP SMALL TENT, 17'6" SIX SIDED (View Details) 10'3"
DOME HIGHT, 5'1" WALLS, 7' SCREENED ZIP-UP DOORS. 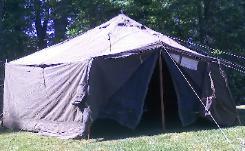 COMPLETE TENT & FRAME, ROPES. COMPLETE WITH POLES, GUY ROPES & GUY STAKES. 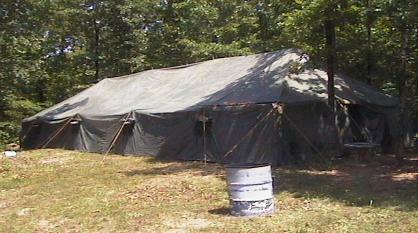 These are original US military tents (like all our tents). popular model. 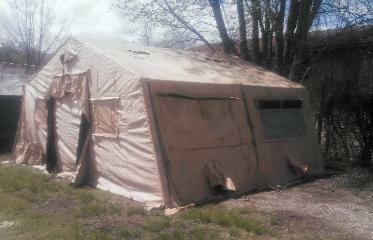 Our tents are genuine US and will always be. 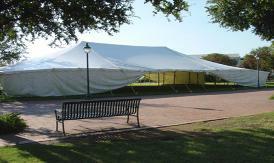 Sizes Available: 20'x32', 20'x48', 20'x80', 20'x96'. INCL. METAL POLES, ROPES, CARRY COVERS. JACKS. COMPLETE WITH POLES, ROPES, TIGHTENERS. or instant use and ARE NOT meant for long term use. cloth can be easily resealed. 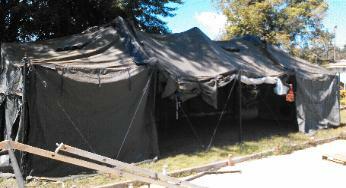 Our Tents Are Ready To Use & Include All Supports.